Join the discussion on our forums! Come discuss Shellshifter over in our dedicated Shellshifter discussion topic. 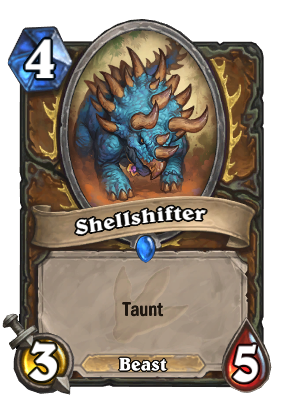 or a 3/5 with Taunt. Master of the Three Shell Monte. Could be good - wish there was another Choose One: card for Fandral synergy. 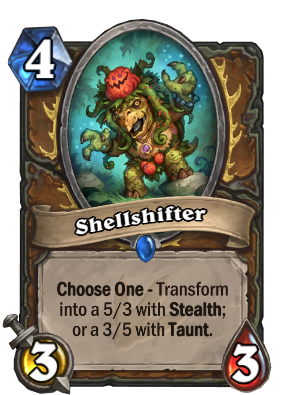 If you pick the 5/3 form, will it count for the quest? Ok I suppose, synergy with the quest or works as Senjin. That looks like a happy little Ditto on her head, how appropriate. 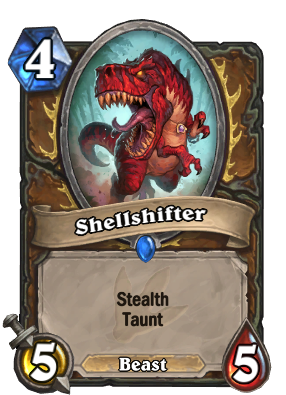 Yes, but it'll be a 5/5 Stealth Taunt, like Druid of the Flame. 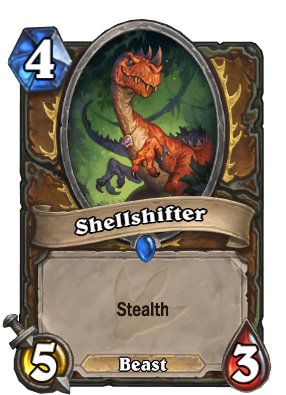 This is 1 mana more... and it's not like Shadow Rager was ever a playable card to begin with - it's not exactly considered a very good 3-drop. It's a Joke comment and it got 3 dislikes. Lol hearthpwn.